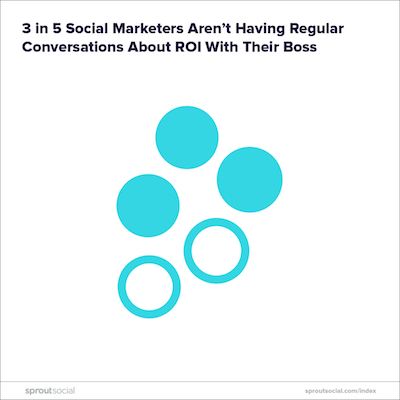 What is Social ROI? Depending on who you talk to, it’s a constant challenge, the latest buzzword or social’s holy grail. There are as many definitions as there are marketing strategies, but one thing is clear: social marketers need to define their impact and align their efforts to business goals. To help, we asked more than 2,000 social marketers how they approach structure, goals and content and cross-referenced their efforts against what more than 1,200 consumers actually want. This webinar will walk through the results of the Sprout Social Index from the CMO’s perspective and reveal actionable insights we pulled from the data. How many marketing organizations are measuring ROI wrong and how you can pivot. Consumer preferences for social content and how to build a strategy that accommodates. How marketers and consumers view the big social networks, and what you can do about it. The state of the social marketing department and budget in 2018. And more! Sign up for this webinar today and invite your whole team to a viewing party.